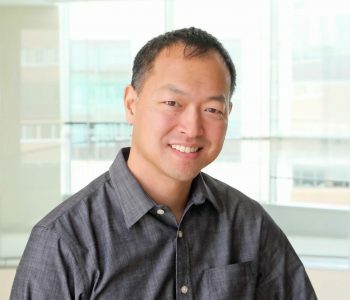 Danny Park is the Group Leader for Viral Computational Genomics at the Broad Institute of MIT and Harvard. Under the direction of Pardis Sabeti, Danny leads genomic analyses and the development of computational methods for viral projects in the lab, including work on Ebola, Lassa, and unidentified viral fevers, and directs the implementation of computational pipelines for use both at the Broad and at collaborating research institutions in Africa. Danny originally worked with the Sabeti Lab as a software engineer at the Broad, then as a Harvard graduate student (with support from the National Science Foundation), where he earned his Ph.D. in Organismic and Evolutionary Biology. During this time, he developed and utilized computational tools to identify adaptations in the P. falciparum malaria parasite that allow it to evade modern drugs and global eradication efforts. Prior to the Broad, he spent four years at a microarray core facility at MGH, working as a bioinformatic consultant on the design and analysis of expression experiments. His bachelor’s and master’s degrees are in computer science from MIT, where he developed software tools for in silico protein design in the Keating Lab. He lives in Cambridge with his wife and son. Follow his professional and research activities via his LinkedIn profile or his Twitter feed. Find a full list of his publications on Google Scholar.